Individuals interested in applying for the 2014 vacancy on the Arizona Game and Fish Commission are reminded that the deadline to submit applications to the Governor's Office of Boards and Commissions is 5 p.m. this Friday, Sept. 20, 2013. Interested individuals may apply at http://azgovernor.gov/bc/Application.asp. Applications must be received or postmarked by the deadline. For more information, contact the Governor's Office of Boards and Commissions at (602) 542-2449, or toll free at (800) 253-0883. 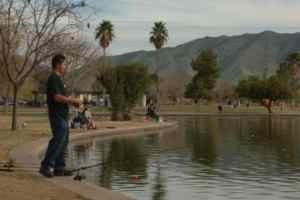 For more information about the Arizona Game and Fish Commission, visit www.azgfd.gov/commission.